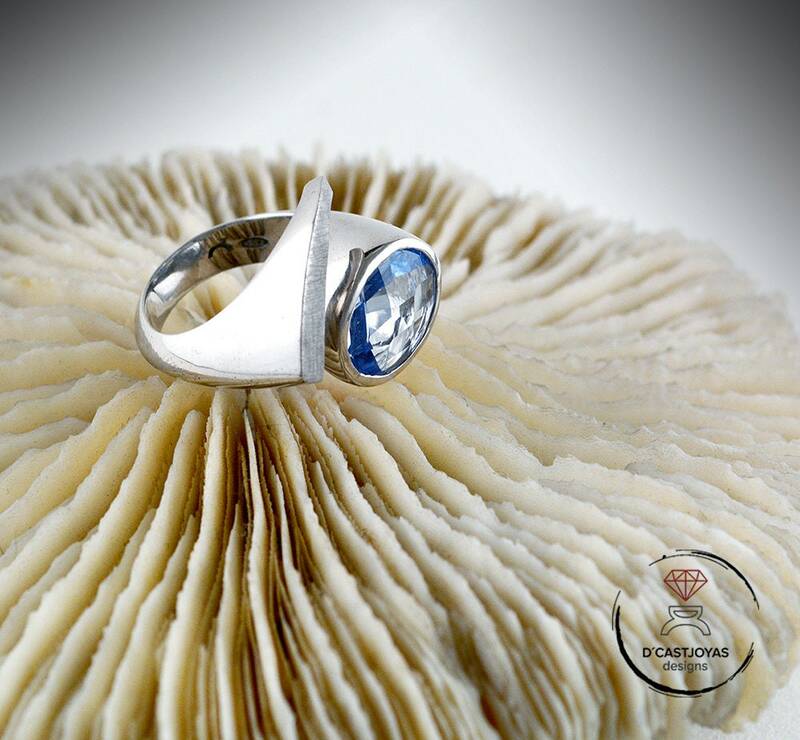 ** We wanted to make a version of our ring "Eye", larger and more robust to look in your hand even more spectacular. ** The Eye ring is made in sterling silver by hand in our workshop in Madrid, Spain. It is set with a large oval-shaped stone, double-sided checkerboard carving. 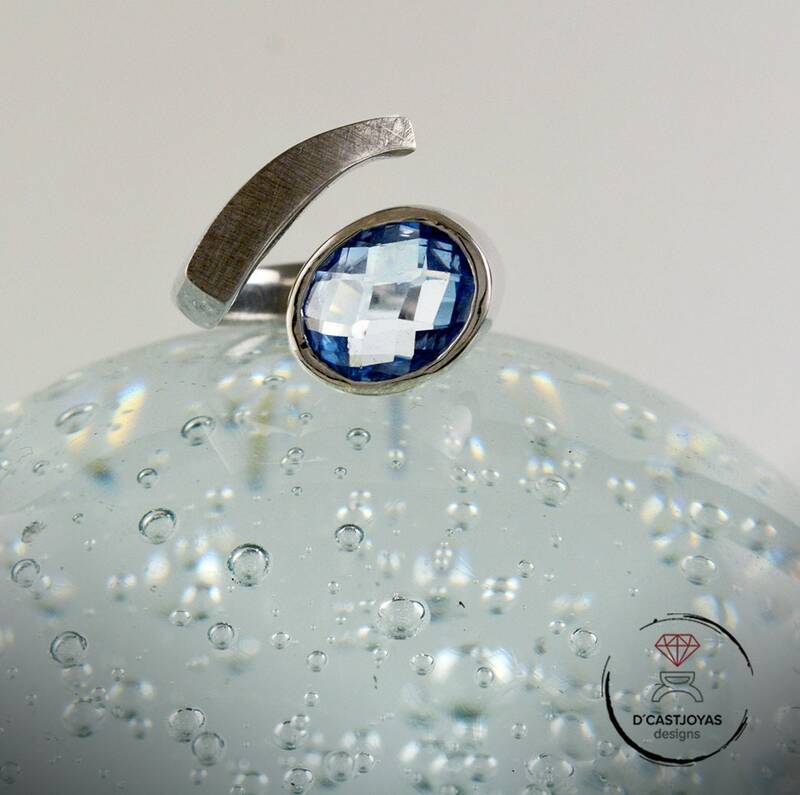 In the photos you can see it with a high quality laboratory aquamarine. 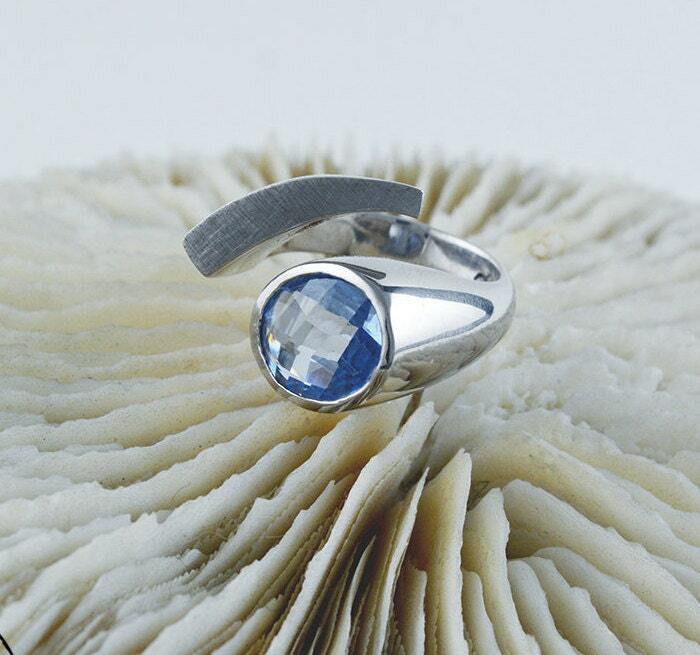 ** This ring is an abstraction of the geometric shape of the human eye. 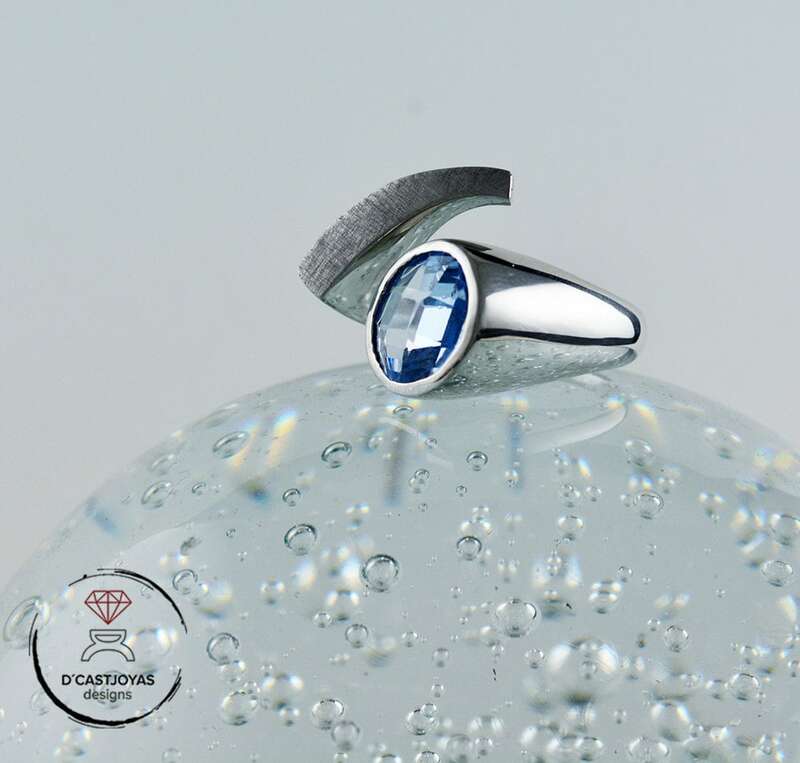 With aquamarine we can also imagine a refreshing drop of water, symbol of life and birth. 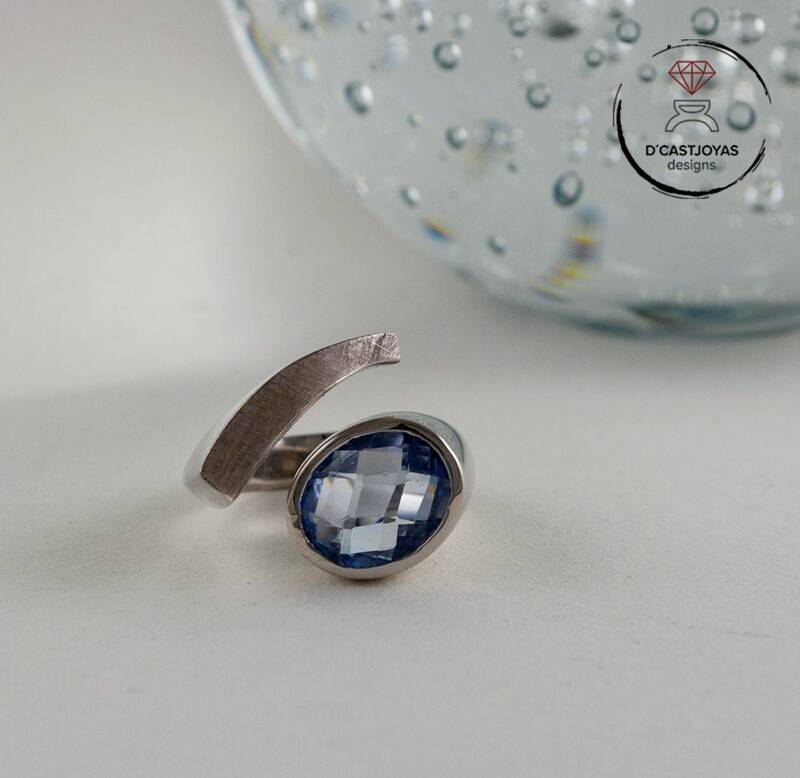 ** An open ring with a modern design of minimal style and very elegant. It is spectacular and combines perfectly with any type of look, from elegant and classic to the most alternative and urban. ** The Eye as a symbol has existed practically since man began to draw. Different cultures and societies have incorporated the eye as a symbol of divine knowledge, providence and guidance. The eye is a powerful symbol that not only represents the search for wisdom, but also the need for protection of a higher power that is seen from above. 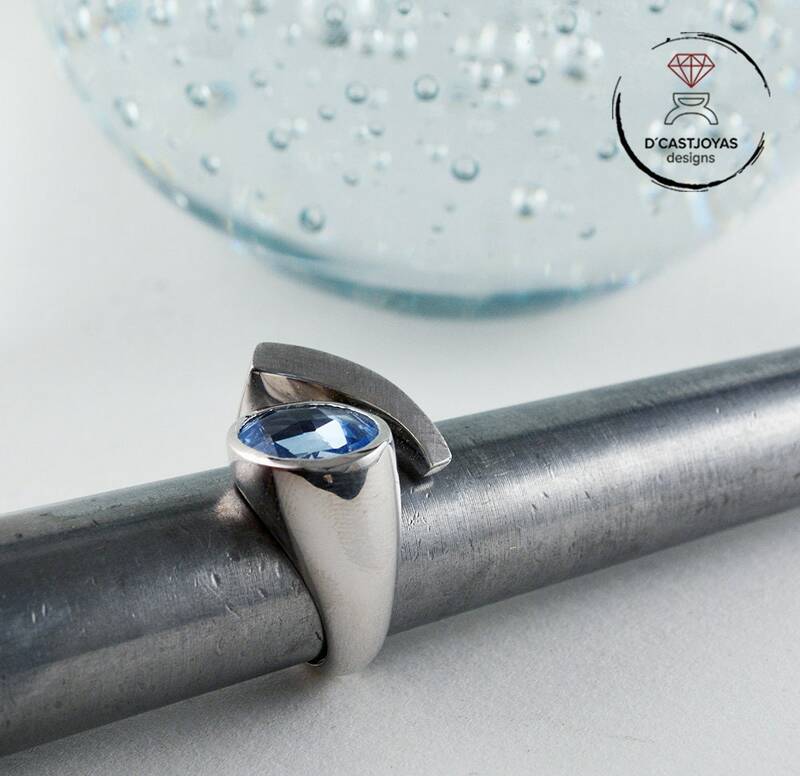 ** The ring is adjustable so you can adapt it to any finger, always opening or closing carefully and without forcing as the ring can deform or split. 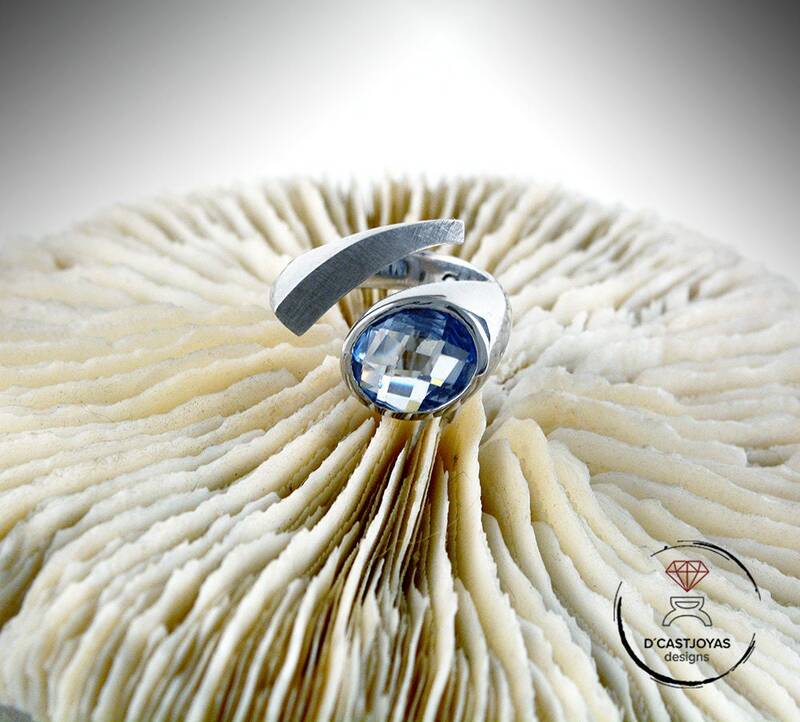 ** You can choose different types of stones and colors: colored zirconia carved in double chessboard, synthetic ruby, aquamarine ... Write us first to tell us what kind of stone you want and what color. And we inform you of stocks and prices. 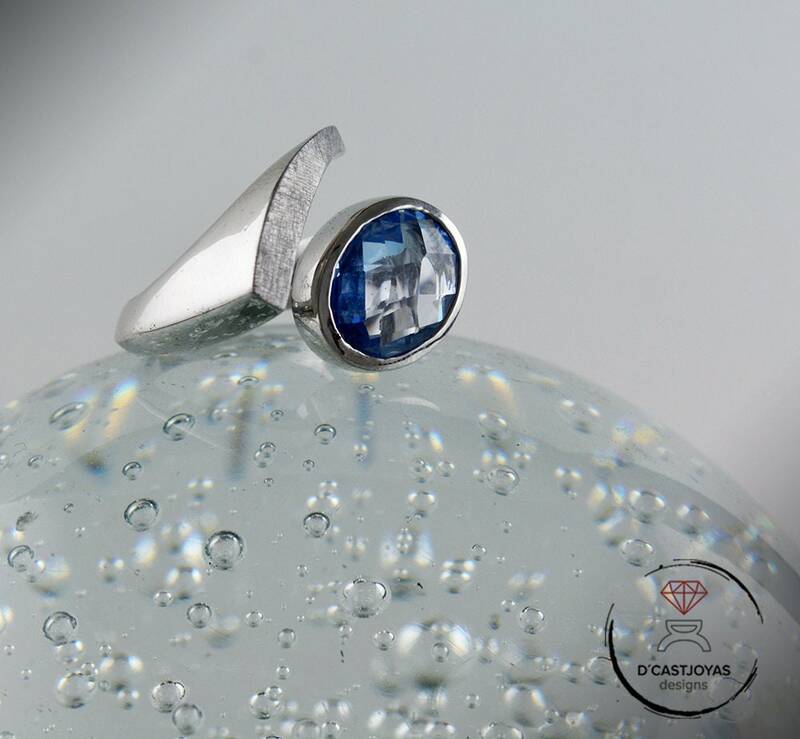 The stones with which we normally work are zircons and very high quality synthetic stones. They are the same stones as the natural ones, but created in the laboratory. 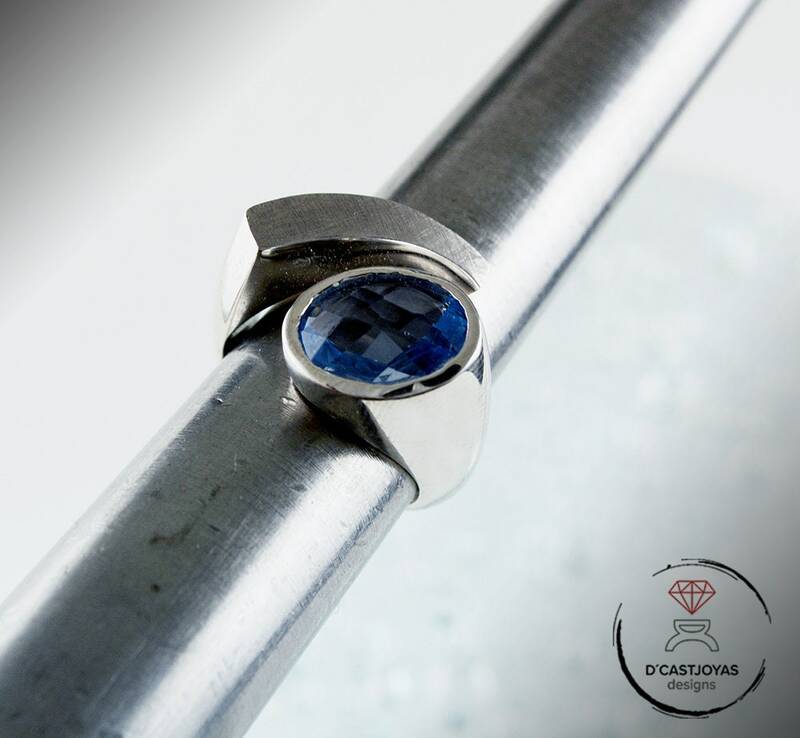 The colors are purer and the stones more resistant than the natural ones. 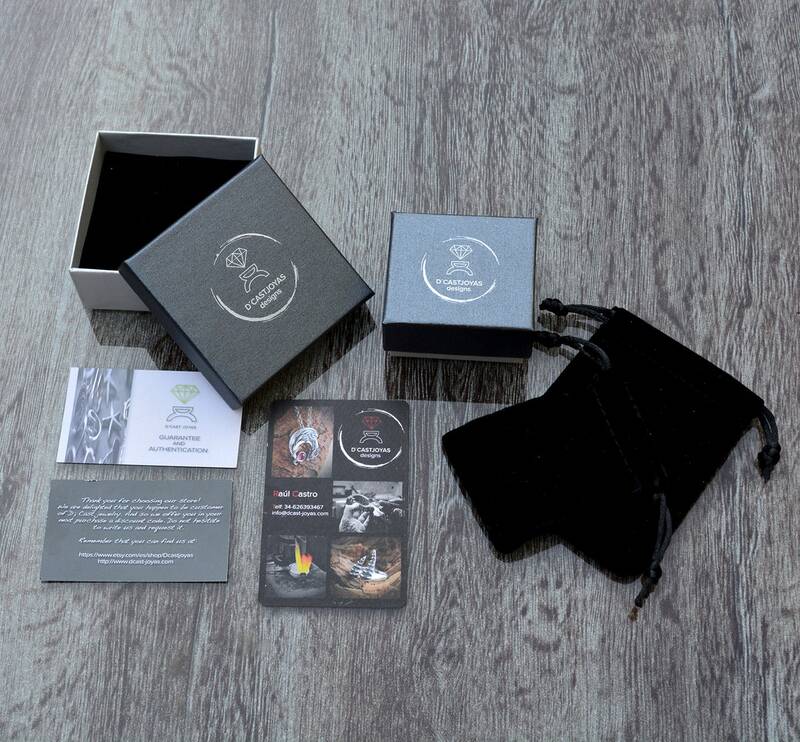 But if you prefer a natural one, we can also offer you availability and prices.